e-Commerce is a fast growing business in India. And therefore requires a thorough business approach. That was the topic for the 19 participants at the two-day e-Commerce Summit organized by Women on Wings in Delhi. 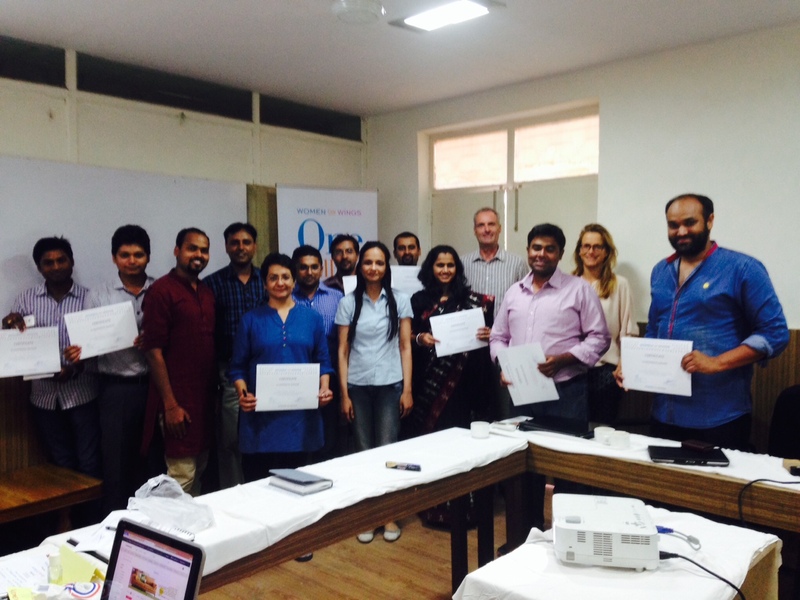 On 25th and 26th May, the participants took on a journey by expert Ellen Oord and guest moderators Amit Gupta and Shilpa Sharma showing them the chances and challenges of starting an online business. Ellen Oord shared a lot of insights from a Dutch market leader’s point of view. Such as how to manage e-commerce and how to even manage the customer journey in your online store. Ellen Oord is Category Manager at Wehkamp, one of the leading online retailers in the Netherlands. Amit Gupta is Director at Eperium India, specialist in e-commerce solutions. Shilpa Sharma is managing founder of Jaypore, a social e-commerce platform in India.